The Magalloway River below Aziscohos Dam is one of the finest and most popular fly fishing destinations in Western Maine. The river here is a tailwater that feeds from the bottom of Lake Aziscohos. The river plunges steeply for over a mile, before flattening out and meandering it’s way to Lake Umbagog. 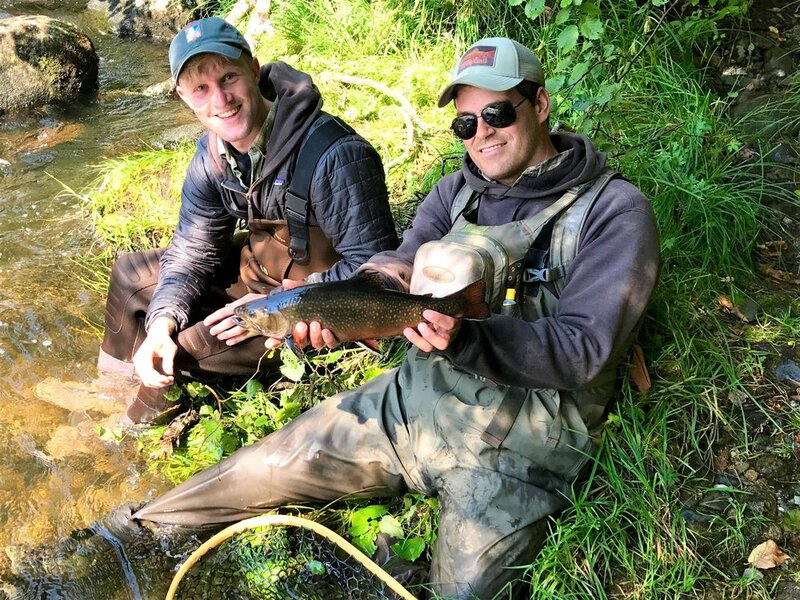 The cold water from the bottom of the dam provides good growing conditions and ample hatches of insects for the native brook trout and wild landlocked salmon that call the river home. Much of the trout fishing is confined to the upper pocket water, as the lower flat-water warms in the summer and is full of smallmouth bass. Fishing kicks off in April and remains good through late July. Midsummer fishing slows a bit, but early and late can still provide good fishing. The fishing picks up again in September and remains good until the river closes September 30th. 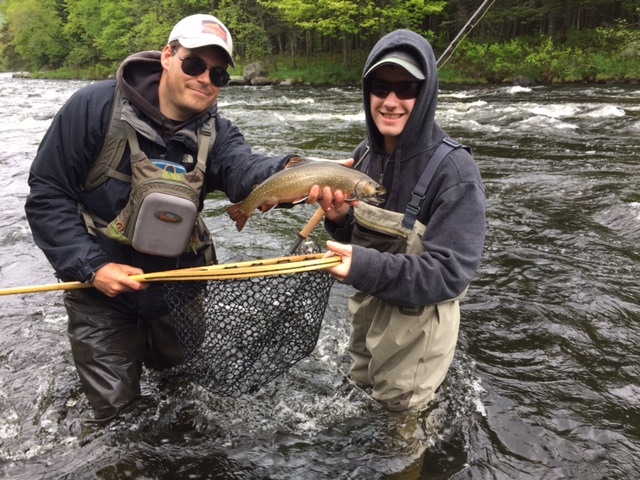 The lower Magalloway is located in close proximity to Rt 16, and is easily accessible to anglers traveling a short distance from Errol, New Hampshire or Rangeley, Maine. Fishing pressure can be heavy at times and can make the Magalloway a more “technical” fishery, but not too worry, as this is the water your guide grew up on, and he knows it as well as anyone in the region.